The Leopard is the most beautiful wild cat to be seen anywhere. When you look at the map below remember that each small black dot represents a single Leopard sighting. It does not take into account how many Leopards were seen a that point in time only that a sighting was made. Refer to the table to see more detail on the actual numbers sighted. Where there are dense clusters of Leopard sighting dots suggests this would be a prime area for spotting the Leopard. 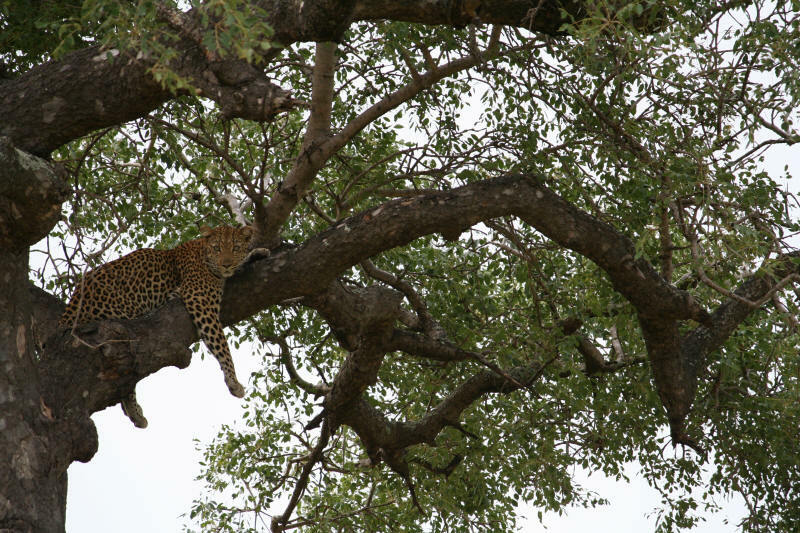 The Leopard can be seen over most of the Kruger but is not frequently seen. Leopards tend to be solitary and hunt at night mainly. They lie up in trees out of danger and out of sight. From the recorded sightings the north and north west would seem to be the best spotting opportunities. To see other "Big 5" sighting numbers click the link. This Kruger National Park website was developed by my father, Tony Roocroft, to map all the roads in this wonderful wildlife heritage site. He completed the project and at the time of writing this is unfortunately not very well. His last wish was for all the information he gathered and put together over years of hard work was to be published... And this has become a reality, together with lots of help from Africa On Paper publishers the book is now available for sale, as you will see on the left. 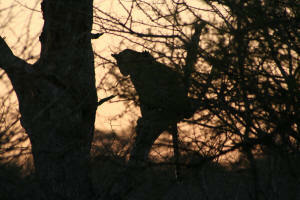 It is unlike any other Kruger National Park and shares everything you can imagine about the park... Please have a look at it, its great, just click the picture to learn more about the book. Basis: March 2005 to Feb 2006 Ranger observations using GPS. Source Kruger National park monthly GIS data published in pdf format on their website. Map created by Tony Roocroft using this data source.